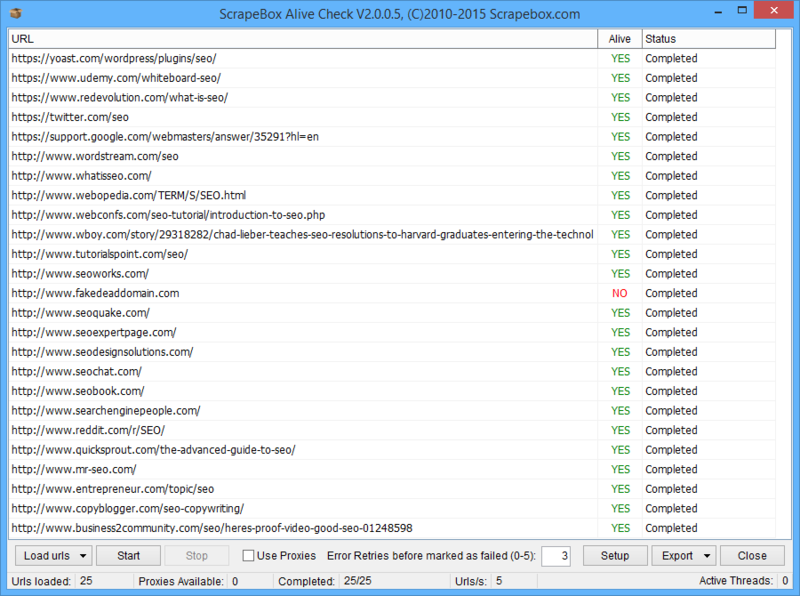 If you need to bulk check a list of domains or URL’s to ensure if they are dead or alive, this ScrapeBox addon can do it. This is ideal if you have a list of article or link directories you wish to clean up to remove dead and obsolete directories, or even checking all the pages of your own website to ensure none are 404. Once installed, you can load a list of domains harvested from ScrapeBox or load domains from a file, you can set how many concurrent threads you wish to use and how many times to retry a URL to eliminate false positives. The addon is multi-threaded and can retrieve the Dead or Alive status for 100’s of domains per minute. Once the results are fetched, you can export the data as an Excel spreadsheet or simply save the dead or alive URL’s to a plain text file for use in ScrapeBox or other software. 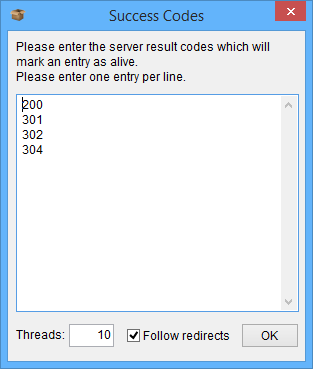 For more advanced users you can also customize any page response codes to class the URL as dead or alive, for example you can set 301 redirect urls to be classed as dead or alive. You can also set the addon to follow redirects and report the status of the destination url, or disable following redirects to only report the status of the urls in your loaded list. View additional settings. View our video tutorial showing the Alive Checker in action. This is a free addon included with ScrapeBox, and is also compatible with our Automator Plugin.